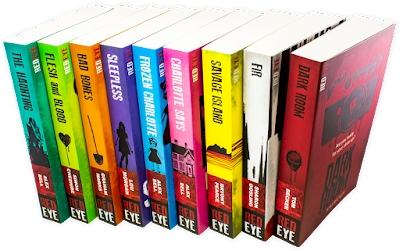 If you've been following my blog for a while, you will know what a huge fan of the Red Eye series I am. So you can imagine my excitement when I was approached by Books2Door for an influencer partnership, and I could choose a book of my choice from their website, in exchange for a review. 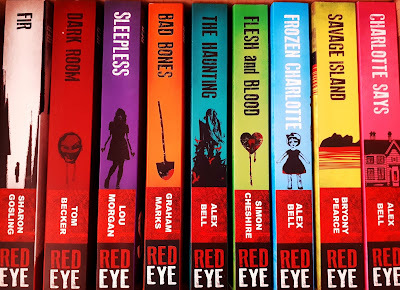 I saw this gorgeous 9 book collection of the Red Eye series, and couldn't resist. 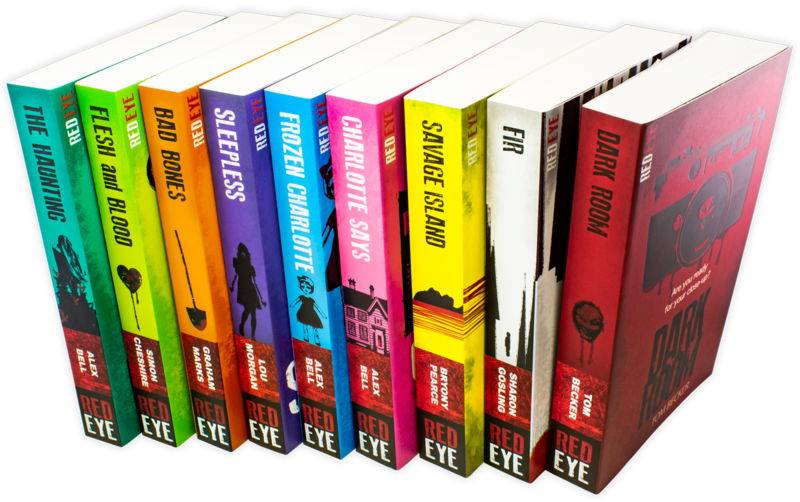 Red Eye is described as: "From bone-chilling ghost stories, to tense psychological thrillers, to bloody murder mysteries, Red Eye has a book to grip every Horror fan." (Stripes). I devoured all of them in January, and I'm so excited to share mini-reviews of each of them! SLEEPLESS: We all know the pressure of exams, and the feeling of your life being over if you don't pass. In this psychological thriller, a group of students take an unheard of drug that they find online. With their nightmares being brought to life before their eyes; the students are unsure if they're hallucinating, or if what they're seeing is real. They discover one thing pretty fast - the only chance of survival is staying awake. Gruesome, terrifying, and scarily believable. BAD BONES: Gabe is feeling the pressure of his family's financial problems. He's trying to help make ends meet, and juggle school life. So when he happens upon some valuables in what turns out to be a grave - he grabs them and runs. He doesn't realise that he's unearthed more than a few pieces of gold, and the mystery of the stolen treasure unfolds in this supernatural thriller. This reminded me of a more adult Goosebumps book, and I loved it. DARK ROOM: Darla is forever moving around with her dad, and she's desperate to settle somewhere. They stumble upon Saffron Hills; a place where Darla gets the strangest sense of deja vu. Darla is a misfit, and couldn't be further from the classmates at her new school - vain, egotistical, and social-media obsessed. When she thinks her life couldn't get any worse, she starts experiencing visions, that she later learns are snapshots of the future. In this teenage murder mystery, there's a killer on the loose - and the future isn't pretty. Fast-paced and electrifying. FIR: Properties in the middle of nowhere blanketed in snow always ring alarm bells in my head - but not for the Strombergs, who think it's perfectly normal to travel to northern Sweden for the Winter, to a place with no phone signal and limited connection to the outside world. The story is told from the perspective of an unnamed teenager, and he starts noticing things that can't possibly be there...or can they? In a book that has you sympathising with nature in one breath, and hiding under your duvet the next - Fir is simply unputdownable. FROZEN CHARLOTTE: Before Sophie goes to visit her cousins at the old converted schoolhouse, a lot of strange goings-on occur. When an innocent ouija-board app results in a death, Sophie is relieved to get away from it all. But in her attempt to get away from it all, she actually finds herself deeper in this mess than she realised. There's something not quite right about her three cousins...and the room full of antique dolls in the house. This book is genuinely terrifying, and you'll never look at dolls the same way again. (Watch my full review here). CHARLOTTE SAYS: This is a prequel to Frozen Charlotte, and it didn't disappoint. Jemima has just lost her mother and stepfather in a tragic fire and wants to start afresh, away from all the terrible memories. She moves to the Isle of Skye to become a teaching assistant at a boarding school for young girls. She's told that no one has managed to last more than a month in this position and it soon becomes clear why. The dolls couldn't really be behind the "accidents" at the school, could they? (Read my full review here). THE HAUNTING: Our protagonist Emma is confined to a wheelchair after an accident at a Cornish Inn. Seven years on, she decides to revisit the inn: Waterwitch. It's said to have been built from the wood of a cursed ship, and it holds one too many dark secrets. Things definitely aren't right - and Emma is determined to be the one to get to the bottom of it. Curses, witches, superstitions - this supernatural thriller has it all, and as always, the writing style of Alex Bell, is spot on. This book gives me shivers every time I read it - and I've definitely re-read it on more than one occasion! FLESH AND BLOOD: Sam starts school in Hadlington, and is introduced to Emma Greenhill, who’s the most popular girl in school; drop dead gorgeous and just so happens to live next door to him. The day after Sam moves in, Emma’s mum comes to welcome their new neighbours. Emma’s mum is a GP and fits all the Hunters in for check-ups. Sam is reluctant to go, but his parents aren't. Over time, Sam notices his parents aren't quite the same. After befriending Emma, he starts to see cracks in her ‘perfect’ persona. He uncovers something he wishes he hadn’t and sets upon telling the Greenhills' secret to the world… (Read my full review here). THIS POST IS IN COLLABORATION WITH BOOKS2DOOR, AND THE BOOKS INCLUDED WERE GIFTED IN EXCHANGE FOR AN HONEST REVIEW. Books2Door: "Here at Books2Door, we want to encourage a love of reading in all children. That's why we have been offering exceptional books at affordable prices since 2004. We select books that we know your children will fall in love with, from treasured classics to the latest must-have series. 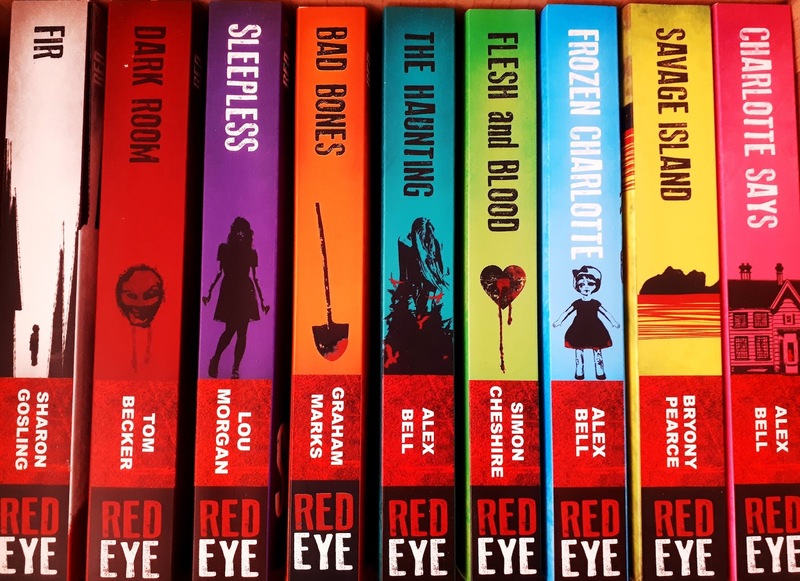 With our extensive range of authors and genres, there is something for every child, from reluctant readers to eager bookworms."